Native Instruments is excited to announce that TRAKTOR KONTROL S2 is now available in stores worldwide. The versatile integrated DJ performance system is based on a compact version of the market-leading KONTROL S4 hardware, and was designed to set a new professional standard in the two-deck category. KONTROL S2 provides a "2+1" setup with sample decks as well as comprehensive mixing and effect features, all based on the included full-featured TRAKTOR PRO 2 software. To offer DJs a more portable alternative to the professional 4-deck TRAKTOR KONTROL S4 system, the KONTROL S2 is centered around a new compact controller hardware. It provides the same patent-pending high-resolution jog wheels, combined with ergonomic controls for cueing, looping and effects. The integrated 24bit/96 kHz sound card with its dual stereo outputs is based on the award-winning technology of the TRAKTOR audio interface range, and provides the same acclaimed sound quality with its supreme clarity and especially high output volume. 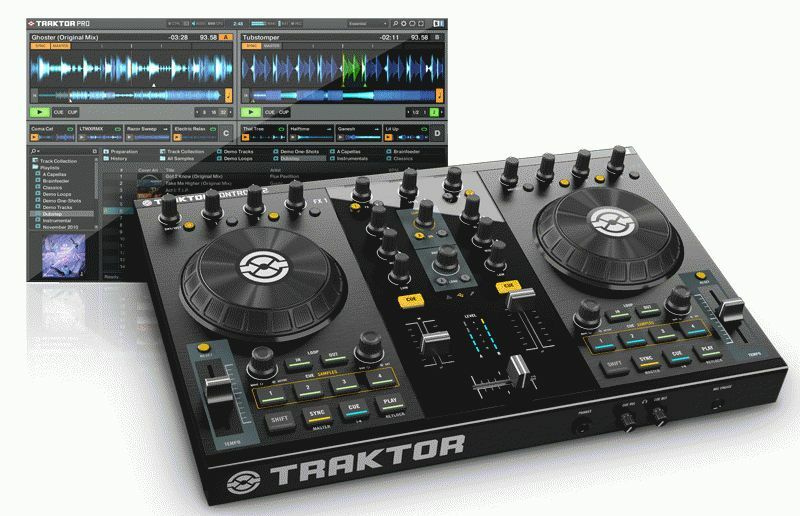 The two full-featured playback decks of the TRAKTOR KONTROL S2 are complemented by the versatile Sample Decks of the latest TRAKTOR PRO 2 software, which can add up to eight simultaneous one-shot samples or beat-synced loops to the mix. TRAKTOR KONTROL 2 benefits from the same seamless bi-directional software-hardware integration as the KONTROL S4, featuring convenient plug&play configuration, dynamically backlit control elements and the high-resolution NHL protocol, for maximum efficiency both during the setup and the actual DJ performance.